The Center will be named for Jean R.
Board of Supervisors. Packard was also on the NOVA Parks board for 24 years until retiring two months ago. She has been a driving force for environmental protection in Fairfax County for many decades. She also advocated for the creation of a memorial to the suffragists held at the Occoquan Workhouse. She recognized the significance of what happened at Occoquan and because of her vision, efforts began to create a national memorial at Occoquan Regional Park. Packard is a current member of the Turning Point Suffragist Memorial Association. 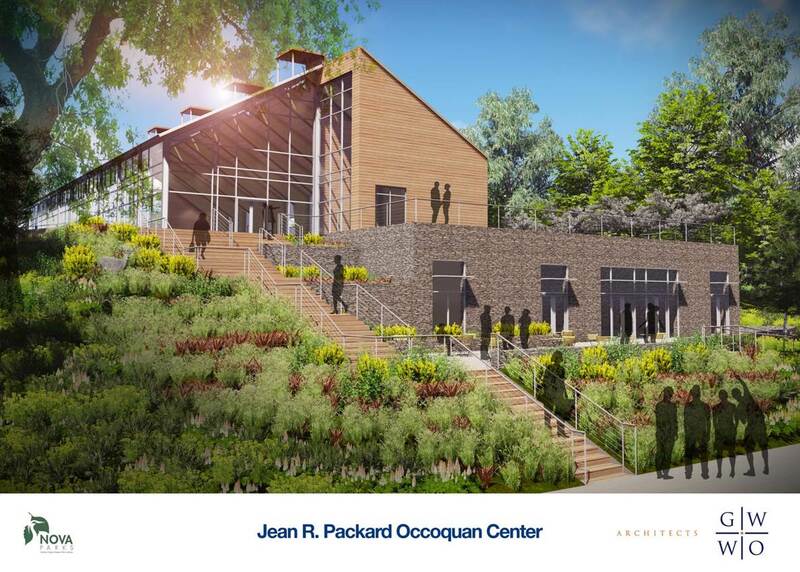 The Packard Center will be a multipurpose building that will include a historic/environmental education area, a special event rental space overlooking the Occoquan River, and a concessions area to serve boaters and other park patrons. The state-of-the-art facility will bring new visitors to the park and to the future Turning Point Suffragist Memorial. 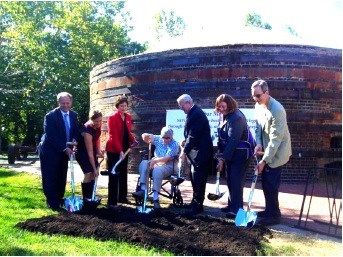 Speakers at the groundbreaking included Jane Barker, former chair and founding member of the Turning Point Suffragist Memorial Association; U-S Congressman Gerry Connolly; current Chair of the Fairfax County Board of Supervisors, Sharon Bulova; Lisa Andrews from GWWO Architects; and representatives of NOVA Parks. Turning Point Suffragist Memorial Association (TPSMA) is an all volunteer 501c3 with the mission “to memorialize the suffragists whose harsh treatment at the Occoquan Workhouse in Lorton, Va., served as a turning point for the recognition of a woman’s right to vote; and to educate, inspire and empower present and future generations to remain vigilant in the quest for equal rights.” The goal is to see a memorial built and fully operational by 2020, the 100th anniversary of the ratification of the 19th Amendment. It will be located in NOVA Park’s Occoquan Regional Park. Learn more about the memorial at www.suffragistmemorial.org, follow us on Twitter @TPSM2020 and like our Facebook page.